RC "safari": a journey to urban jungle. Designer beauty brands RFU has attracted wildlife. Designer beauty brands RFU has attracted wildlife. 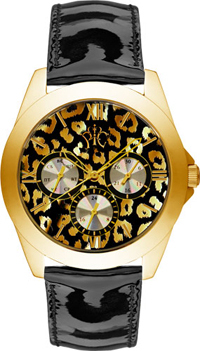 The new watch collection “Safari” dial is decorated with trendy bright patterns, repeating the color of African animals – zebra, leopard and giraffe. All models are made on the straps made of genuine patent leather in black or white. The case is steel, silver and gold shades. Two models in this collection are multifunctional mechanism that shows the day of the week, day and 24-hour clock. The collection of “Safari” – one of the most striking and original in the RAF brand. It is likely to appeal to lovers of the unusual stylish clock.